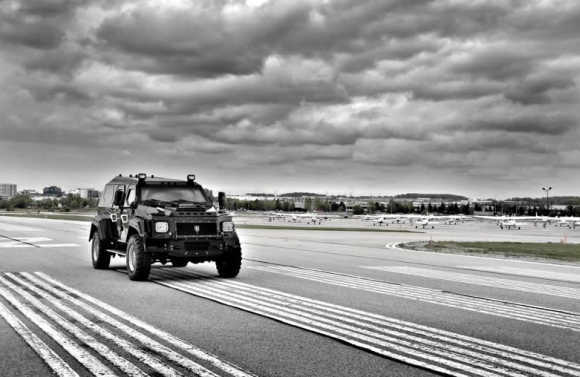 Toronto-based company Conquest Vehicles has launched Evade, the company's first unarmoured SUV. Priced at Rs 8.5 crore (Rs 85 million), this is the costliest SUV launched in India. The new body style and design of Evade includes new headlights and tail lights sleekly wrapping around the sides of the vehicle, narrower fender flares, a redesigned grille, hood scoop. 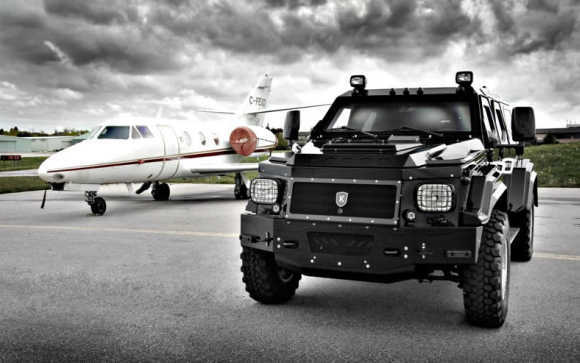 Let's take a look at Evade and Knight XV, the fully armoured luxury SUV that has been letting the rich and famous hit the road in high style and complete safety since 2008. 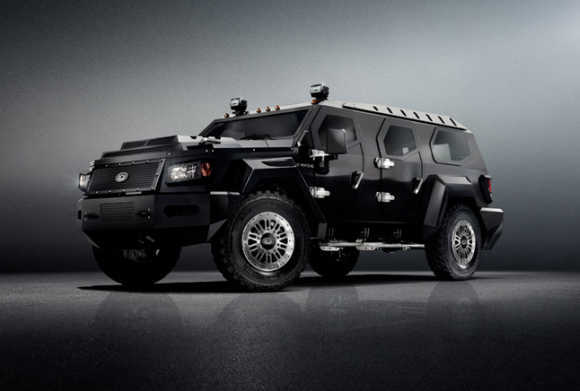 Image: Evade, Rs 8.5 crore SUV. 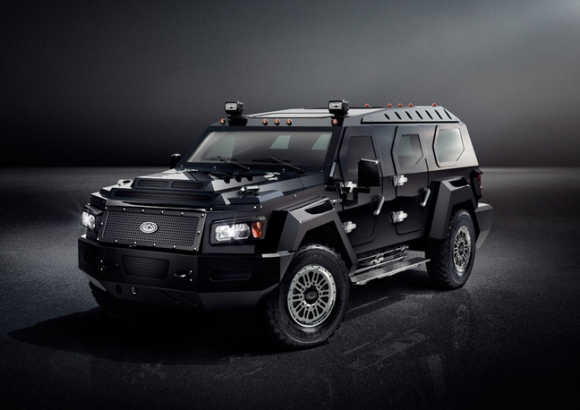 William Maizlin, an executive specialising in the armoured vehicle industry, realised his vision of converting a vehicle based on military designs into a luxury armoured civilian vehicle and in 2008, Conquest Vehicles was formed. 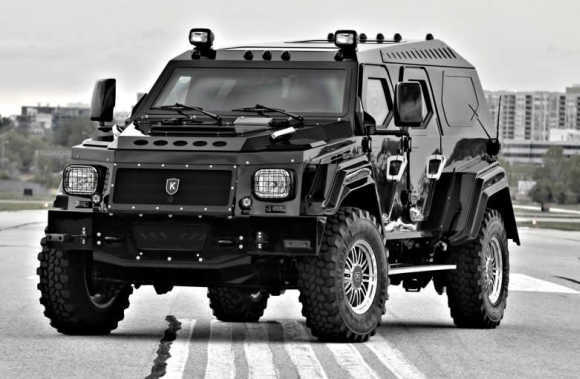 Working with automotive designers, engineers and armouring experts, Conquest Vehicles coordinated the research, development and production of the Knight XV. Image: An image of Evade. 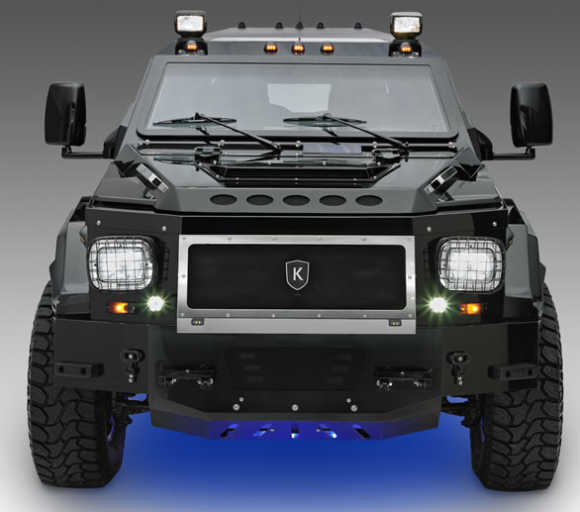 The Knight XV was unveiled by Conquest Vehicles in 2008 at the Specialty Equipment Market Association in Las Vegas Nevada. The XV stands for "Extreme Vehicles". 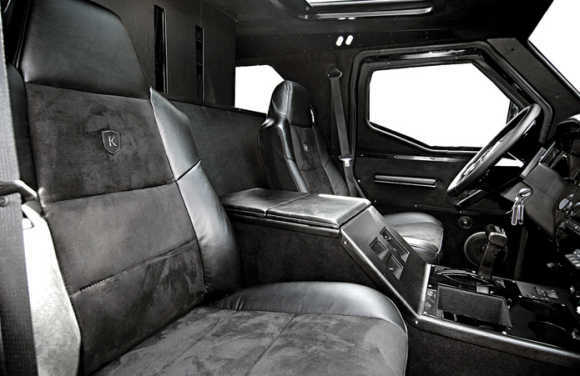 The vehicle takes about 4,000 hours to build at the production facility in Toronto, Ontario, Canada. 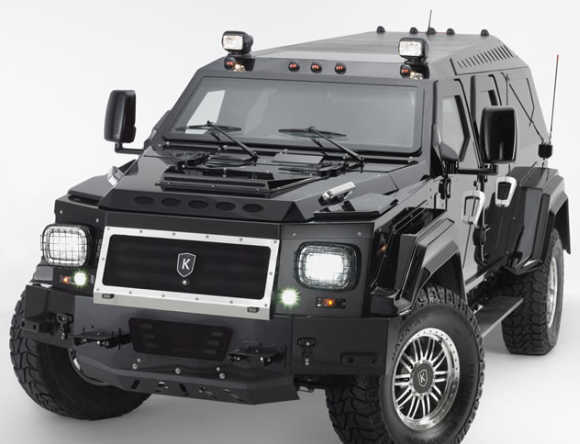 The manufacturer offers upgrades and options including a built-in oxygen survival kit, under-vehicle magnetic attachment detection system, multiple armour levels and a black box system. 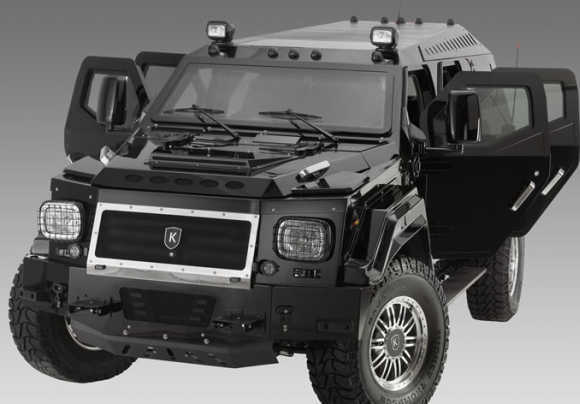 The Knight XV is armoured using ballistic steel, with ballistic fibreglass fenders and bumper. 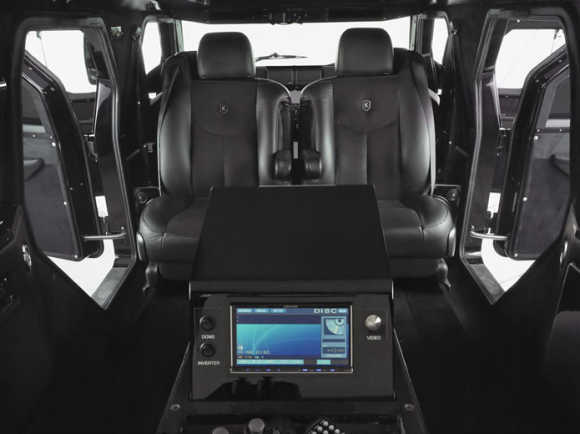 The vehicle is 240 inches, 98 inches wide and 100 inches tall, with a ground clearance of 14 inches. 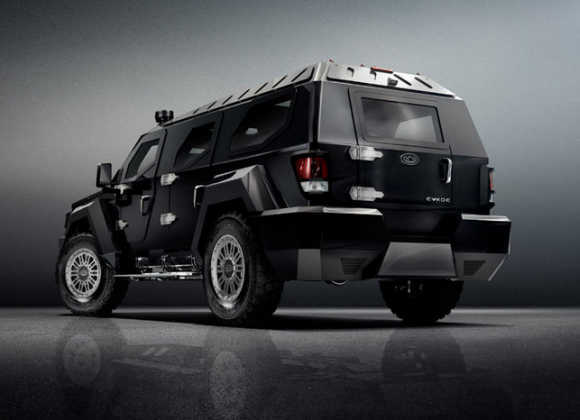 Its wheelbase is 153 inches and it has a curb weight of 5,900kg. 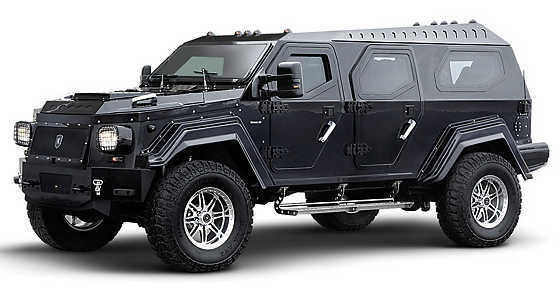 The vehicle sits on four, ballistic run flat tyres. 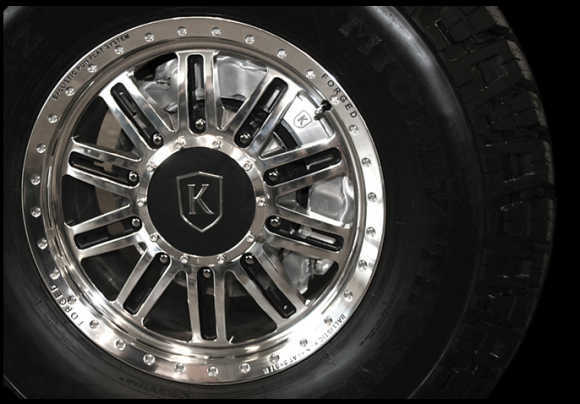 Its 20-inch rims are custom designed and engineered using a solid piece of forged 6061 aluminium. The engine provides 325 hp and 400-ft lbs of torque, while the diesel engine offers 300 hp and 660 ft lbs of torque. Performance packages are available for both engine types. 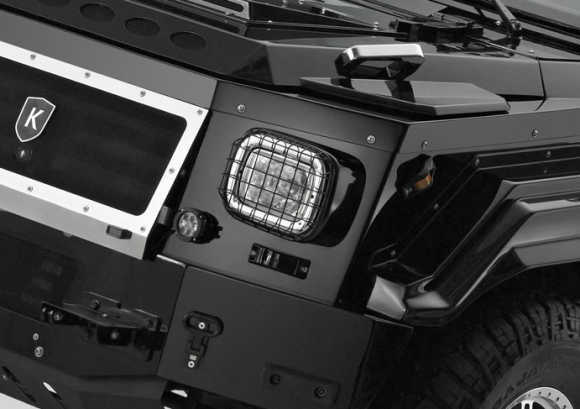 All glass meets various ballistic levels and is certified according to HP White's Quality Control Standards. 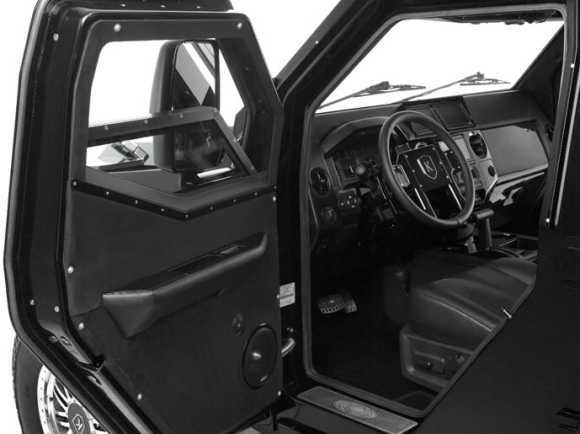 Glass intended for a client's vehicle is inspected upon receipt and is compared to the test samples for confirmation of both lay-up and the optical zebra test. Tests are performed at a range of five metres, using factory ammunition that has been weighed prior to firing to ensure that it meets the required norms. The bullet is fired electronically through a military quality barrel with the projectile then passing through a chronograph beam to ensure that it meets the requirements of the ballistic testing standards. The armour-testing samples are maintained at an ambient temperature for 24 hours prior to testing. Samples are removed from each mill lot of armour plate prior to installation on a vehicle and are tested in accordance with the established norms. Upon satisfactory testing, a Certificate of Quality is issued for each sheet. 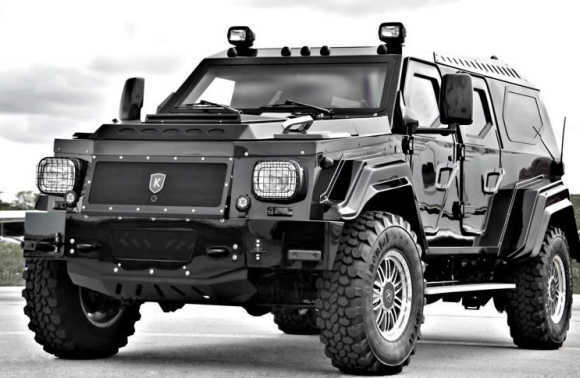 High quality high-strength steel, ballistic aluminium, composites, aramid and ceramics are used in the manufacturing of the vehicles opaque armour. 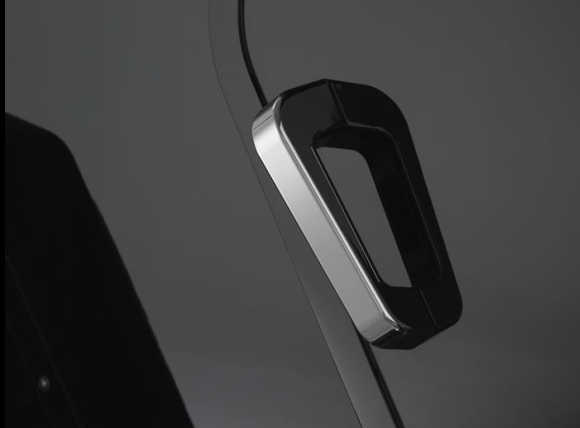 Due to the added weight of the transparent and opaque armour in the doors, the door hinges are reinforced using a proprietary system designed by the company to completely avoid hinge failure and prevent sheet metal fatigue around the hinge system. 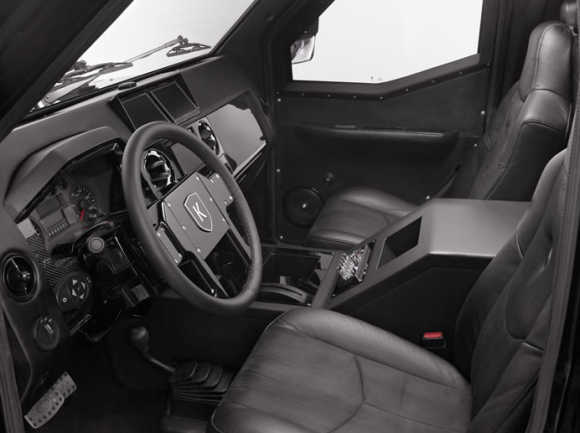 All armouring materials on the Knight XV have been HP White Laboratory Incorporated certified. 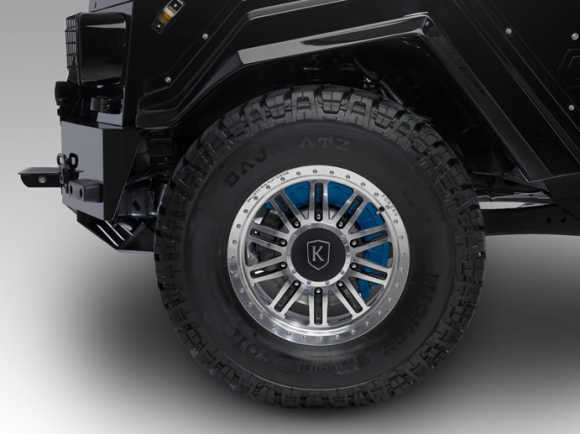 It should be noted that official specifications on the Knight XV's body armour are not available on the company's website, and no actual armour rating has been issued. 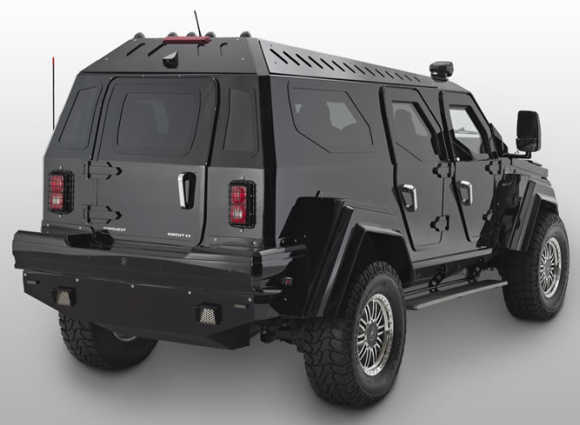 The rating for the glass used in the Knight XV's windows is CEN Euronorm B4+, which will stop standard ammunition for most handguns up and including .44 caliber. 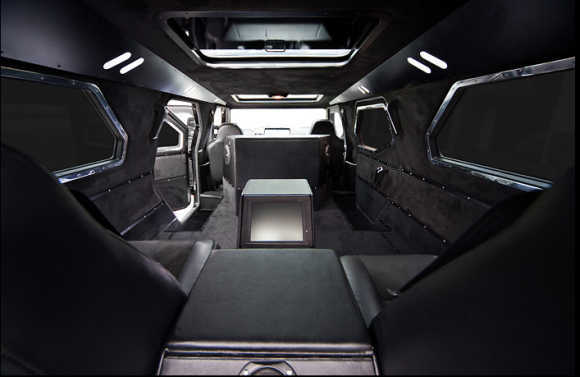 Among the features are: Luxury carpeting; leather; custom flat screen television and a TracVision satellite system; Indirect LED lighting; AM, FM, CD, DVD; navigation; Bluetooth equipment and overhead tandem sunroof; TV Monitors; Night vision and rear op camera system with a Playstation 3 or Xbox personal digital entertainment. 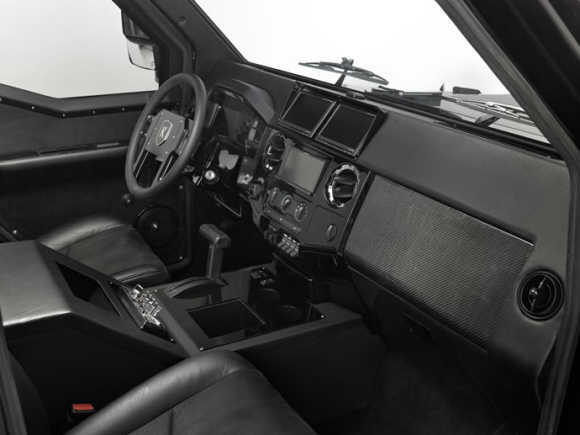 The cabin's interior is larger than other SUVs, with optional intercom communication system and an automatic window tinting system. The standard seating configuration consists of six seats (two in the front and four in the rear), with two seats facing forward and two seats facing backward. 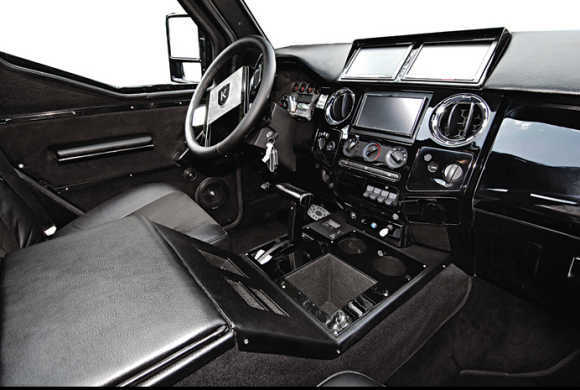 Some production and design options include a super charger package and commercial grade multi link air ride suspension system and a right-hand drive conversion package. 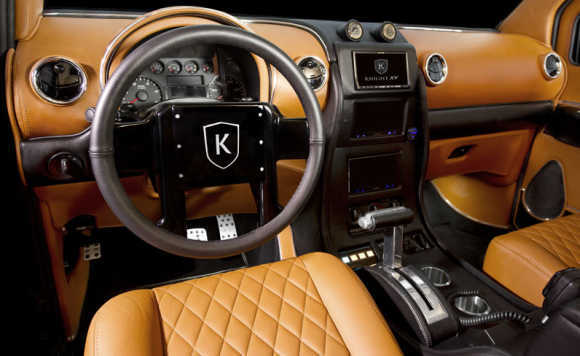 Knight XV contains an E-85 Ethanol conversion system (Flex Fuel) with California emission certification, thereby making it certified all across the United States. 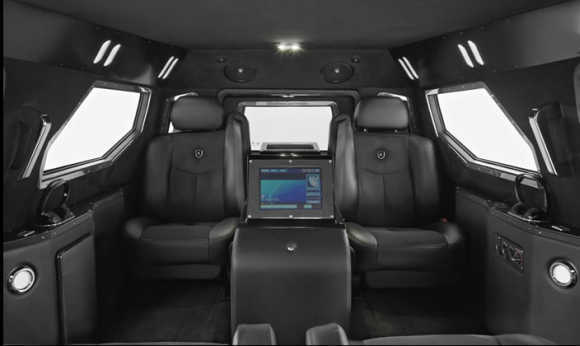 The cabin's 283-cubic-foot interior is larger than the interior of most SUV's on the road and can comfortably seat six professional basketball players. 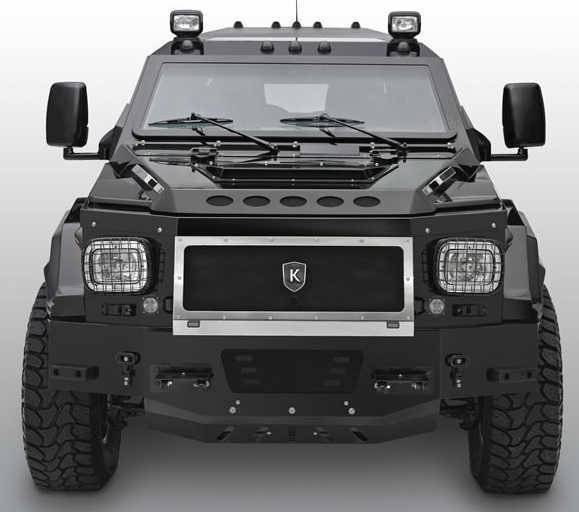 The Knight XV is powered by a V10, 6.8-litre engine and sits on a commercial class chassis. 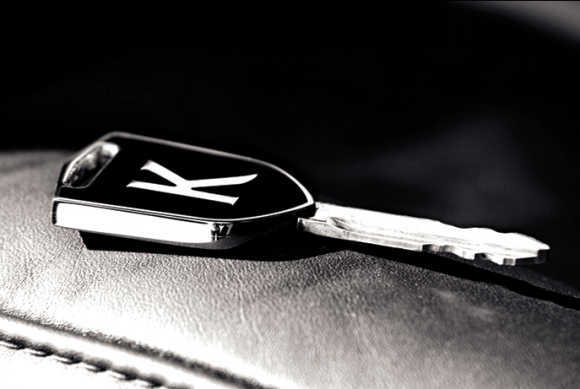 Conquest Vehicles also provides auto customisation and after-market design for luxury vehicles.